A longtime spokesman for conservation, common sense, and sustainable agriculture, Wendell Berry writes eloquently in several styles and methods. Among other literary forms, he is a poet of great clarity and sureness. His love of language and his care for its music are matched only by his fidelity to the subjects he has written of during his first twenty-five years of work: land and nature, the family and community, tradition as the groundwork for life and culture. His graceful elegies sit easily alongside lyrics of humor and biting satire. Husbandman and husband, philosopher and Mad Farmer, he writes of values that endure, of earthy truths and universal imagery. His vision is one of hope and memory, of determination and faithfulness. 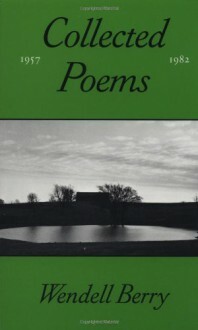 For this far-reaching yet portable volume, Berry has chosen nearly two hundred poems from his previous eight collections.